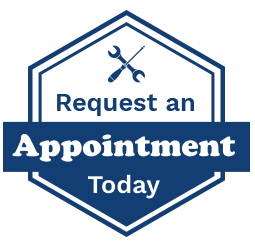 At Coopers Auto Repair we understand that our customers are busy, you have families, jobs, doctor appointments, school and lives. We are here to help you. We do our best to listen to your concerns, your wants and needs. We understand being on a budget so we give personal attention to every customer so that we understand your questions and do our best to help you with what ever it is you need to make your vehicle repair easy. We will give rides home, to work, to school where ever you need to go or give you the option for a rental car. We are very women, kid and pet friendly. We are willing to go the extra mile when people let us know what they need we are always willing to help. Our customers enter as guests and leave as our friends. Check out our reviews! Coopers Auto Repair is your full service auto repair shop that cares about your safety, our quality, and a reasonable price. We serve the Pierce County, WA. Puyallup, WA. and Tacoma, WA. areas. Bring your automobile, truck, hybrid, diesel, SUV, Motorhome, or RV to our shop to receive our best service and top quality repairs. Our customers can relax whenever they leave their service needs in our capable hands. We make auto repair easy for you by giving you the personal attention you need right away so you can get back on the road safely as quickly as possible. We stand confidently behind every repair and service we provide by doing the next right thing with our best 3-years, 36,000 mile in-house warranty. Coopers Auto Repair understands that you may be traveling outside the city limits or out of state. For your safety we are proud to be part of the NAPA AutoCare Family who honors us with a 3-years, 36,000 mile warranty nationwide! Wherever you go we have your back! AAA has placed their faith in us by making us an established AAA Approved Auto Repair Shop. NAPA gives us KNOWHOW, we are a trusted NAPA AutoCare Center. Our brilliant ASE Certified Technicians are here to solve your auto repair problems giving you peace of mind knowing you picked the right place. Check out our reviews! Coopers Auto Repair understands that you may be traveling outside the city limits or out of state. For your safety we are proud to be part of the NAPA AutoCare Family who honors us with a 3-years, 36,000 mile warranty nationwide! Wherever you go we have your back! 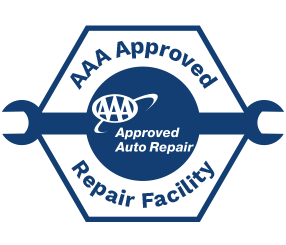 AAA has placed their faith in us by making us an established AAA Approved Auto Repair Shop. NAPA gives us KNOWHOW, we are a trusted NAPA AutoCare Center. Our brilliant ASE Certified Technicians are here to solve your auto repair problems giving you peace of mind knowing you picked the right place. Check out our reviews! 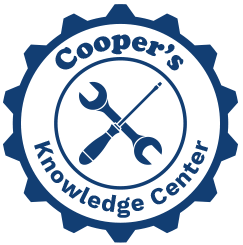 Coopers Auto Repair makes sure you're always up-to-date on the status of your auto repair or maintenance service. 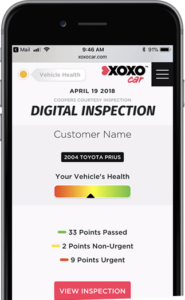 Our Digital Online Vehicle Inspections allow us to easily keep in contact with you by sending updates directly to your phone or email! After you drop of your vehicle for service at our shop, our team of expert technicians will perform a thorough inspection - and send you a report directly to your phone! You'll always know the status of your repair, because we can easily communicate with you by either email or text message. We can even share photos or videos of your vehicle with you. Our goal is to take the stress out of auto repair, and make your experience with us as easy as possible. Our goal: To build great relationships with our customers and keep them happy for years to come! 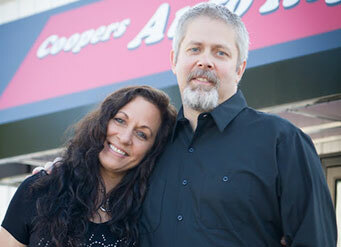 Coopers Auto Repair Specialists is family owned and operated, you can usually find a Cooper family member at either store. We live in the community and care about our customers who are our neighbors and friends. We have a great service team available whose goal is to make you happy. We have assembled the best trained Technicians in the area who are up to date on the latest technology of today’s vehicles who are ready to go the extra mile to make your vehicles safe and dependable. Give us a call to experience how easy car repair can be.